During the year the efforts made to promote the project and to get more volunteers to regularly participate in recording came to fruition. This was largely the result of targeted emailing of potential volunteers who displayed an interest in other Gwynedd Archaeological Trust projects. A number of talks and guided walks were held in order to provide taster sessions for groups and potential volunteers. Interest in the project was also sustained through the use of a Facebook page and project specific pages on the GAT website. GAT staff continued to monitor sections of coastline and reacted to information submitted by members of the public. A prehistoric site, consisting of pits, buried soil horizons and a scatter of flints was identified. Freeze-thaw erosion was seen be a significant factor in this area. 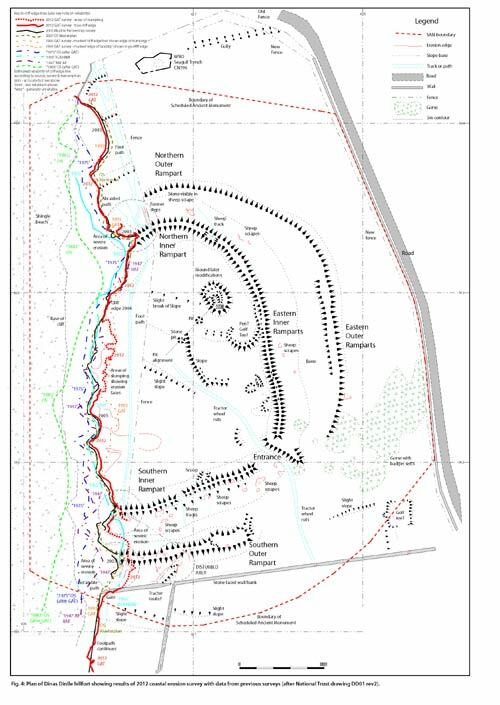 An area centred on the newly discovered Tai Cochion Roman settlement was walked. 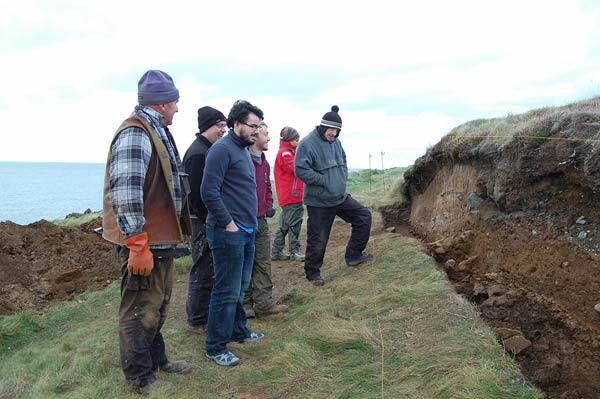 No early sites were discovered but 18th/19th century sea-defences and land reclamation works were recorded. This area was found to be reasonably stable with numerous sites reflecting a lost maritime tradition. Possible WW2 defences were also recorded. The fish-weir, Cored Gwyrfai, was found to be stable. Flint scatters were recorded here, along with post-medieval quays and other sites related to the maritime history of the area. Undated wood, preserved in clay was recorded on the foreshore along with previously recorded WW2 features in the dunes. Industrial features were recorded here following enquires after a lecture about the Arfordir project. Monitoring was also carried out at Traeth Coch on Anglesey, Traeth Lafan on the Menai Strait, Wylfa to Cemlyn coastal landscape and to ongoing erosion at Porth Neigwl and Criccieth. The database was continually updated with new sites and some maintenance conducted to improve the functionality of data from the earlier coastal projects. 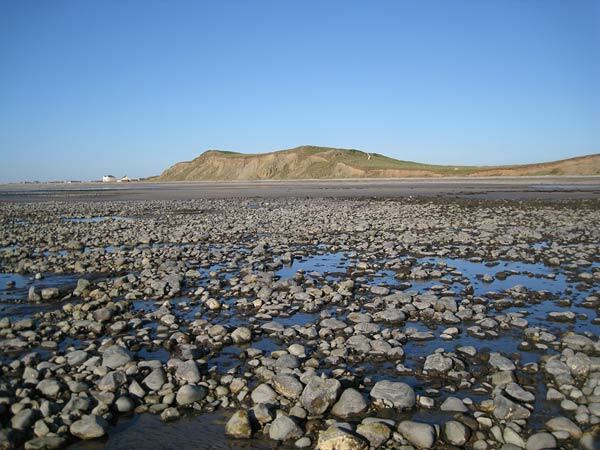 A new survey was carried out of the eroding edge of Dinas Dinlle hillfort which when compared with earlier data demonstrated that the cliff edge was still receding, particularly in the southern part of the fort. The scope of the project was considerably widened by a grant from the Llŷn AONB Sustainable Development fund. This was used to buy equipment for volunteers and to provide additional funding for further work on sites first aexamined in earlier years of the project. 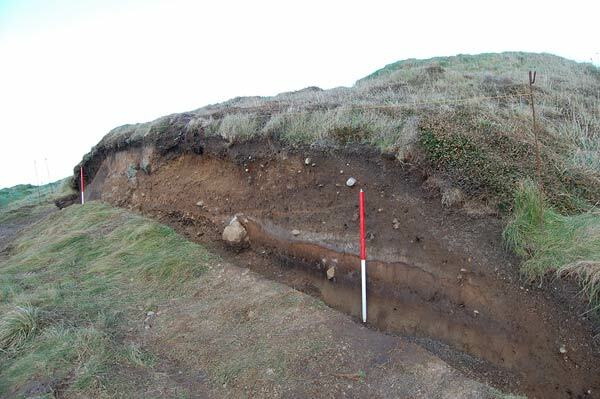 The first was an excavation at the eroding promontory fort of Trwyn Porthdinllaen. The excavation examined the defences of the fort revealing deep ditches and substantial earthen ramparts. Several construction phases were identified demonstrating that the ditches had been re-dug, and banks strengthened. Following the success of the excavation further funding was obtained to involve local schools with the project through site visits and an art project focusing on the history of the site. 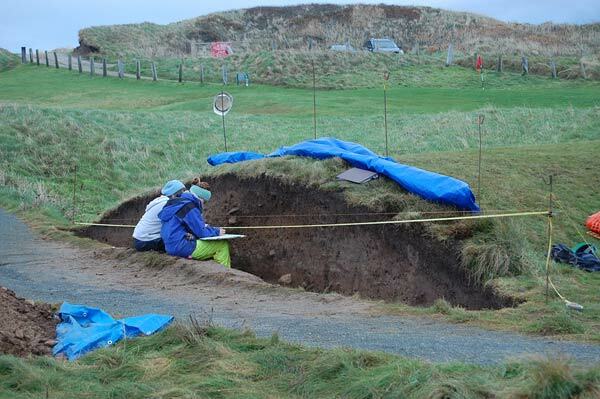 The second area of follow-on work comprised geophysical surveys at Trwyn Porthdinllaen, Abererch and Glanllynnau; these all involved volunteer participation. All of the information gathered over the course of the three year project was compiled into a final report.